Have you ever wondered what grassroots interchurch conversations look like? Come to Seattle University in late July and find out for yourself! Bridgefolk is a grassroots movement of Mennonites and Catholics who work together toward Christian unity by “proceeding through friendship.” All are welcome at Bridgefolk gatherings. 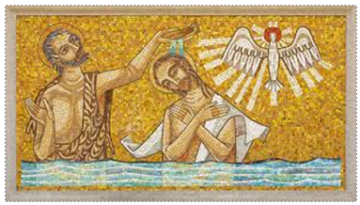 The 2017 Bridgefolk Conference theme is “Pilgrimate toward Christian Unity: Beginning with Baptism.” Baptism is the beginning of our daily discipleship as followers in the way of Jesus and the source of our common identity as bearers of the name of Christ. The 2017 conference will feature new and ongoing work toward the unity of the church. This year’s keynote speaker for the Bridgefolk Conference is Maxwell Johnson, Ph.D., Professor of Liturgical Studies at the University of Notre Dame. Dr. Johnson is a leading historian of early Christian worship and an expert on the development of Christian rites of initiation. Learn more about the schedule, registration, logistics, etc. on the Bridgefolk conference website.